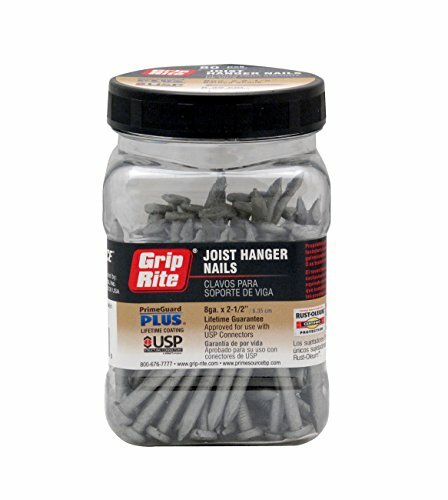 Grip Rite 8 Gauge, 2-1/2-inch coated barbed joist hanger nails are for attaching joist hangers to wood studs. The short, heavy gauge nail provides increased holding power without fully penetrating wood. These nails are approved for use with USP connectors. They are also approved for exterior use with all types of treated lumber. This 80 count container of nails has a lifetime guarantee against rust and corrosion.